This publication sets out to offer an introduction to Christian doctrine, emphasizing that 'doctrine' refers primarily to a dynamic teaching process, rather than to a set of propositions about belief. The chief model for this process is the divine life itself, both in its inner Trinitarian movement and in its sacramental and historical self-expression in creation, incarnation and tradition. 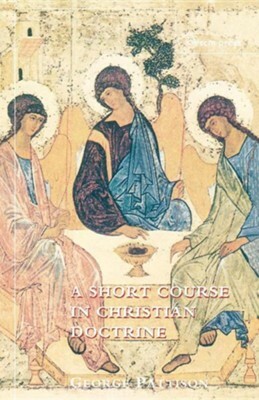 Drawing on Protestant, Catholic and Orthodox sources, as well as being in dialogue with such modern philosophers as Habermas and Heidegger, this Short Course also involves extensive discussions of homiletics, spirituality, the relationship between Christianity and culture, and perspectives for Christian approaches to ethical and political challeneges. "highly original, erudite, and passionate work, which, in its 180 pages, causes you often to pause for breath before setting out down some unexpected route that turns out to offer new views on how faith has developed, and is expressed. (...) By the end, you know you have had a rich feast of reflection." DR Peter Selby, Bishop or Worcester, Church Times, 28 October 2005. "Pattison is offering an important thesis here. His approach is to see doctrine as conversation, and the task of exploring doctrine as participation in a living tradition. (...) I hope that it will be widely read so that we can have a richer mix of ways of doing doctrine today that often occurs." Clive Marsh, University of Nottingham, Epworth Review, April 2006. I'm the author/artist and I want to review A Short Course in Christian Doctrine.